Think Michelangelo's David would be better with tattoos? 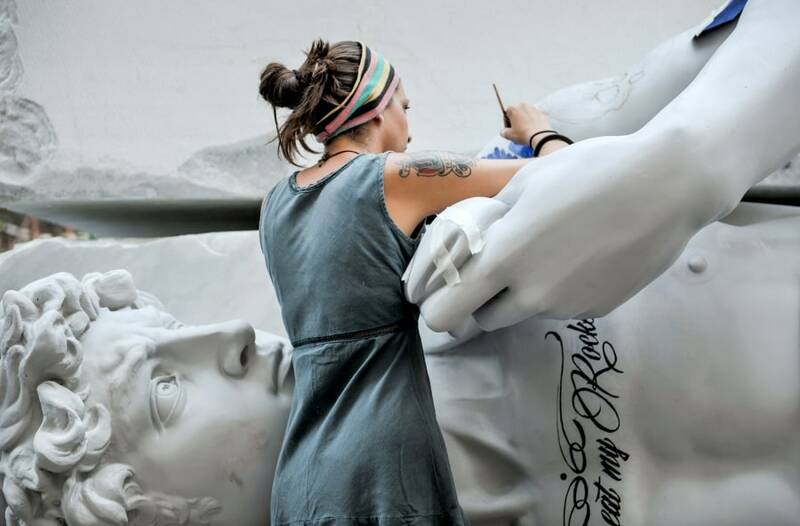 An artist works on copy of Michelangelo's statue of David during the Carrara Marble Weeks 2013 on Aug.1, in Carrara, Italy. Artists work on copy of Michelangelo's statue of David during the Carrara Marble Weeks 2013 on Aug. 1, in Carrara, Italy. As part of the Carrara Mable Weeks in Carrara, Italy, a group of young artists led by Professor Luciano Massari will add tattoos, covering the replica of Michelangelo’s statue of David completely in the coming days. Tattoos are an increasingly common practice among Italians.